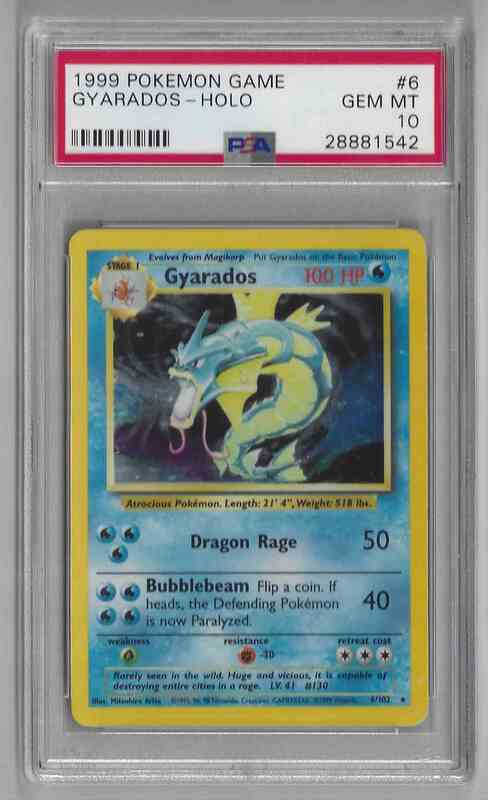 This is a Pokemon trading card of Gyarados. 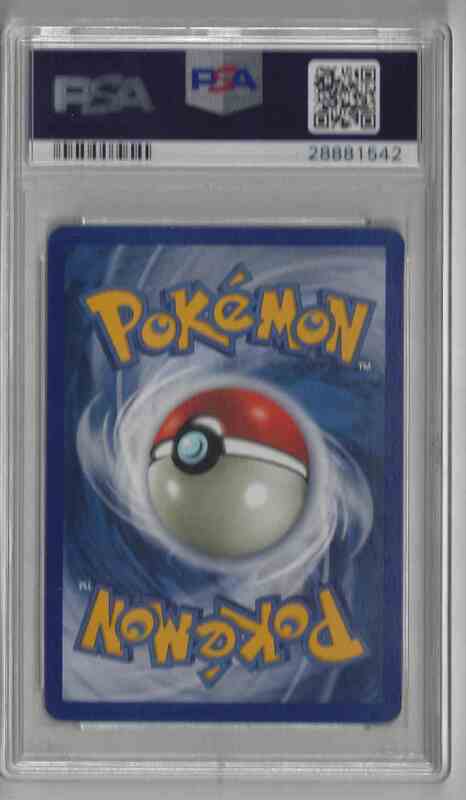 It comes from the 1999 Pokemon Game Unlimited set, card number 6, serial numbered 28881542. It is graded 10.0 by PSA. Holo. It is for sale at a price of $ 200.00.